PALEOpalooza 2011 - get your fossil on! The Academy of Natural Sciences of Philadelphia, Pennsylvania is hosting a fossil festival February 19 & 20, 2011 from 10 AM till 5 PM EST. Meet Dr. Scott Sampson and Buddy the T. Rex of PBS's Dinosaur Train. See work being done on the titanosaur fossils. 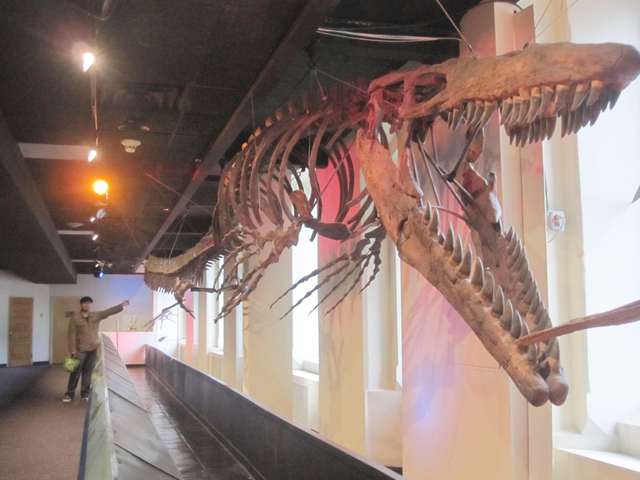 Examine the Dryptosaurus, a fossilized tyrannosaur skeleton found in New Jersey. Staff paleontologists will be available to talk about the Academy's collection plus tour the Dinosaur Hall. The Delaware Valley Paleontological Society will have fossils and displays to show as well. Watch trilobite races, see floating dinosaur balloons, or create a dinosaur sculpture or fossil CD cover. Learn more at the web page for this event. March 19, 2011 Ned Gilmore, collection manager of the Vertebrate Paleontology Department will host an adult field trip to the Chesapeake and Delaware Canal. Participants get to keep the fossils they find. Limited to 20 people with trip fee of $40 for non-members or $35 for members. Call 215-299-1060 to register. Learn more at this web page. 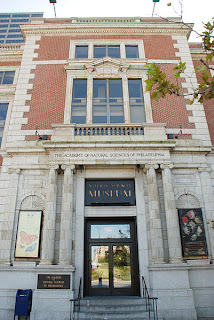 The Academy of Natural Sciences has been around since 1812 helping people connect to nature. So next year is their 200th anniversary! One of their founders and first president has ties to Louisville, Kentucky. Dr. Gerard Troost whose 200 year old mineral collection (1811) is housed at the Louisville Science Center. Learn more about Dr. Troost and his accomplishments at this blog posting.